It’s not just the Clipper 2017-18 Race crew who have been impressing on the sailing world stage in this year’s Rolex Sydney Hobart Yacht Race (RSHYR), with former crew also doing their Clipper Race training proud over the last few days. IMAGE: Lisa Blair during the Clipper 2011-12 Race. One of them is Lisa Blair, who has become a force in sailing since circumnavigating the globe in the 2011-12 edition of the Clipper Race on board winning boat Gold Coast Australia. 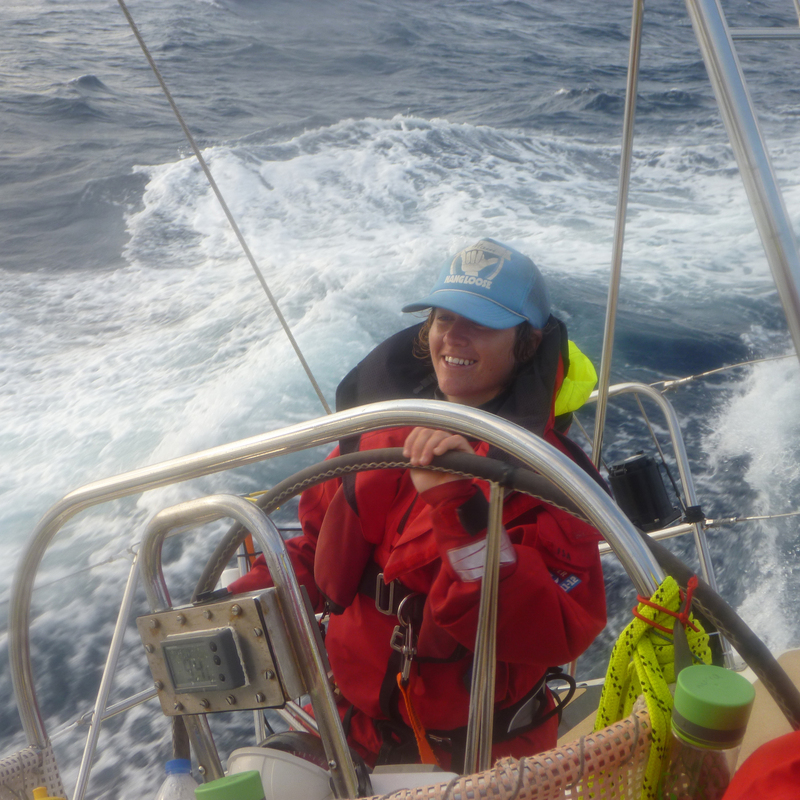 After becoming the first woman to circumnavigate Antarctica solo earlier this year, Lisa capped off 2017 by Skippering the first all-female Sydney to Hobart crew in 16 years. Lisa says: “Initially for me it was just a point of difference [to be racing with a crew] but when I found out it had been 16 years since there had been an all-female crew, I partnered with the Magenta Project to offer this as a pathway programme for accelerating women into sailing. IMAGE: Lisa Blair and her Climate Action Now team. Credit Rolex/Studio Borlenghi. 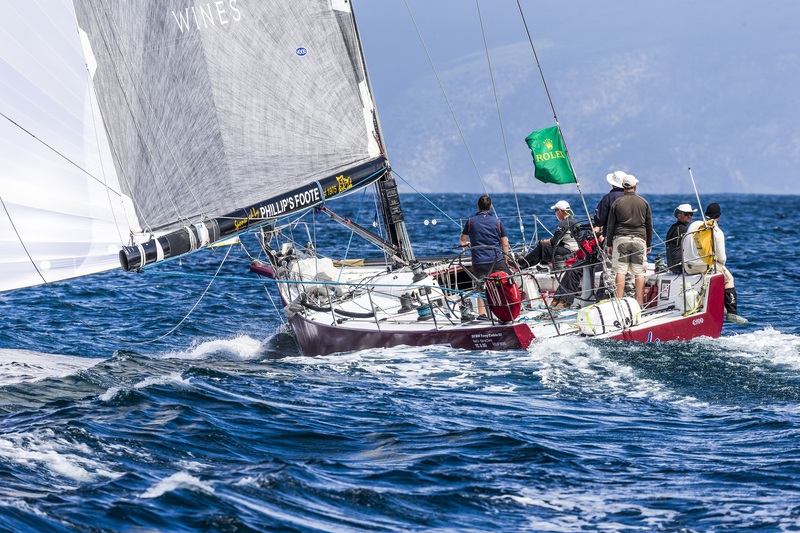 Lisa and her team of eight on board Climate Action Now were competitive, crossing the line in Hobart after 3 days, 4 hours, 40 minutes, and 50 seconds on Friday 29 December, to finish 59th overall, 15th in Division 2, and 11th in ORCi – Division 2. And Lisa knows how valuable an experience it was for her team of emerging talents, as she herself wasn’t a sailor before taking on the Clipper Race adventure. “I wasn’t really a sailor [before the Clipper Race]. I knew the white flappy stuff went up but I hadn’t really done it that much. I started my sailing career as a hostee, the cook and the cleaner, and sort of learnt a little bit through that but really learnt what it takes during my Clipper Race. IMAGE: Duende during the 73rd Rolex Sydney Hobart Race. Credit Rolex/Studio Borlenghi. Another former Clipper Race crew member who has gone on to become a ground breaker in the world of sailing is Vicky Song. 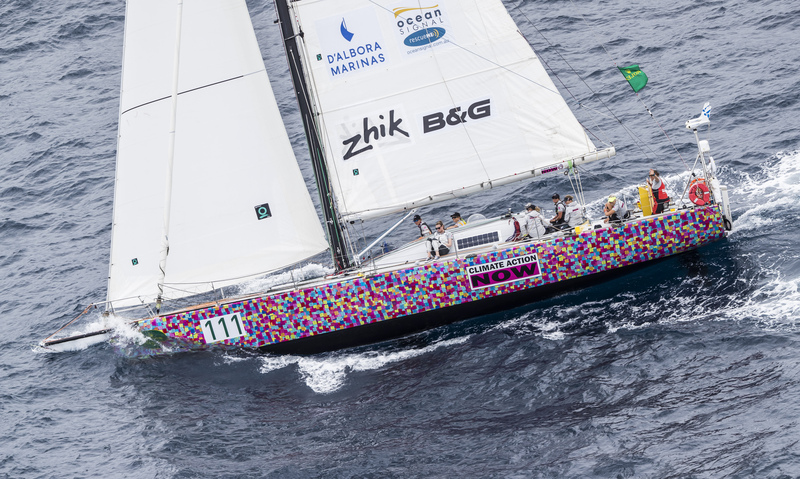 Vicky, who became the first Chinese woman to sail around the world as a Qingdao Ambassador in the Clipper 2013-14 Race, also took part in the famous Bluewater Classic as a crew member on board Duende, which finished 47th overall, 13th in the PHS Class, and 9th in PHS-Division 1. “It’s so exciting to do this again because actually the first time I took part in the Sydney Hobart was with the Clipper Race,” says Vicky. IMAGE: Vicky Song during the Clipper 2013-14 Race. Also taking part in the 73rd edition of the Rolex Sydney Hobart Yacht Race was Han Kim, a round the world crew member in the Clipper 2015-16 Race on board ClipperTelemed+. Han raced with the crew on Sonic, which was became the first South Korean entry in the 2016 RSHYR. And the team performed brilliantly, taking last year’s result of 56th overall to finish the 2017 RSHYR in 24th overall, 20th in IRC, 11th in IRC-Division 1, and 9th in ORCi-Division 1.